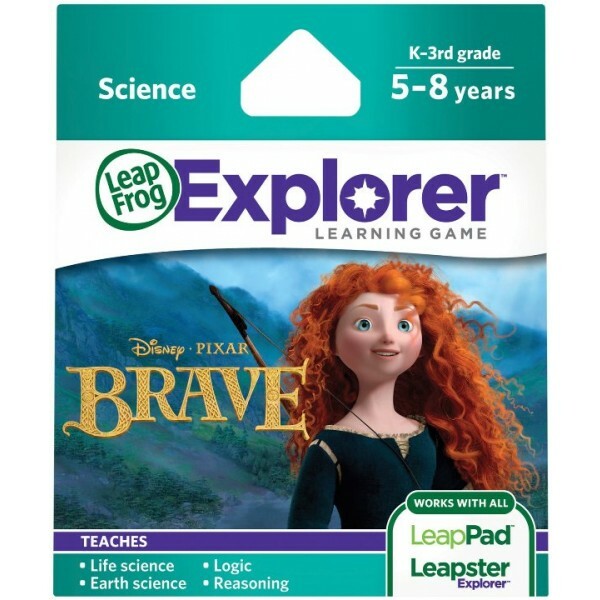 Join Merida on this magical quest for LeapPad and Leapster Explorer! Discover what it means to be truly brave as you explore an amazing world of plants and animals. 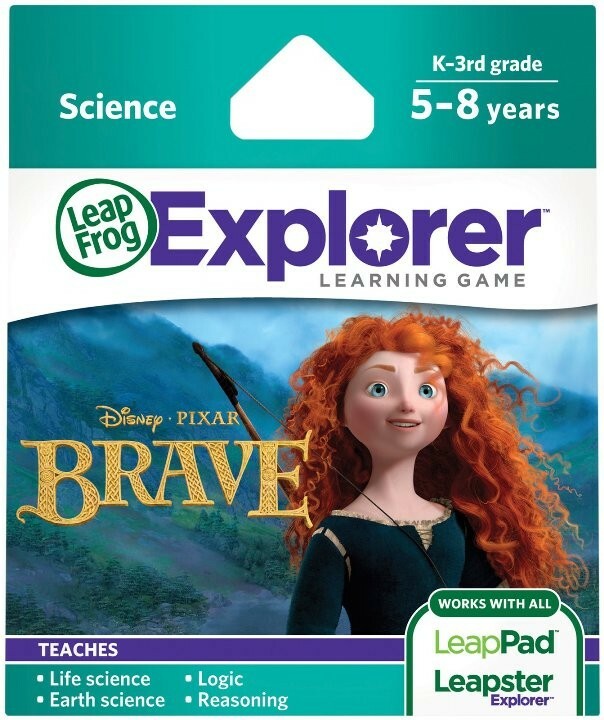 This innovative LeapFrog Explorer learning game helps kids learn new science skills and hone logic skills. Experiment with science, make predictions about the natural world and discover what it means to truly be brave along the way. This magical quest for LeapPad and Leapster Explorer was co-designed by a team of girls, who showed LeapFrog what it means to be truly brave. Natural-born scientists, children aren't afraid to experiment and discover by trial and error. LeapFrog learning games, apps and eBooks are designed by our in-house educational experts and grounded in the latest research for the richest possible learning experience. By promoting learning through play, we tap into children's natural curiosity, inspiring them to explore. Take a crash course in force and gravity, then experiment for yourself by letting your arrows fly. Explore a natural world that's true to science! Immerse yourself in flora and fauna that are native to Merida's forest! What's a saddle? Learn the common names for parts of plants and animals, then challenge yourself with more scientific terms. Deduce answers through trial and error. Discover 100+ facts about plants and animals, and use what you know to make predictions about habitats and life cycles. Logic and reasoning: Logic and reasoning skills begin to develop at an early age and are used to solve problems and draw conclusions. Teaches Earth Science: Earth sciences (such as geology and oceanography) deal with the origin, structure and physical phenomena of the earth and the solar system.